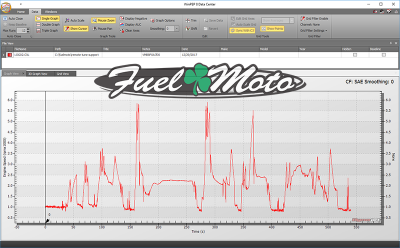 The Fuel Moto RTS service is capable of correcting fueling/timing related issues for many applications. It gives us the ability to match your engine configuration based on log data from the vehicle's computer (ECU) and PV-CX. Fuel & spark corrections are possible with our custom tuning algorithms which are applied to the data provided to us by the Bosch ME-17 ECU and recorded on the PV-CX. At the beginning of the tuning process users will be provided with a custom map with various tune edits to maximize data collection which will be temporary during the tuning process, with each tuning session we will be applying corrections based on log data using our custom tuning algorithms and you will be supplied with a new updated tune for your next session. This tuning process typically takes three to four good sessions. For those using the factory narrowband O2 sensors we can typically correct 90% of the operating range, if you have the optional Wideband CX (WBCX) with the associated wideband sensors installed, correction of 100% of your operating range is possible using our custom algorithms applied to the data recorded with the WBCX. 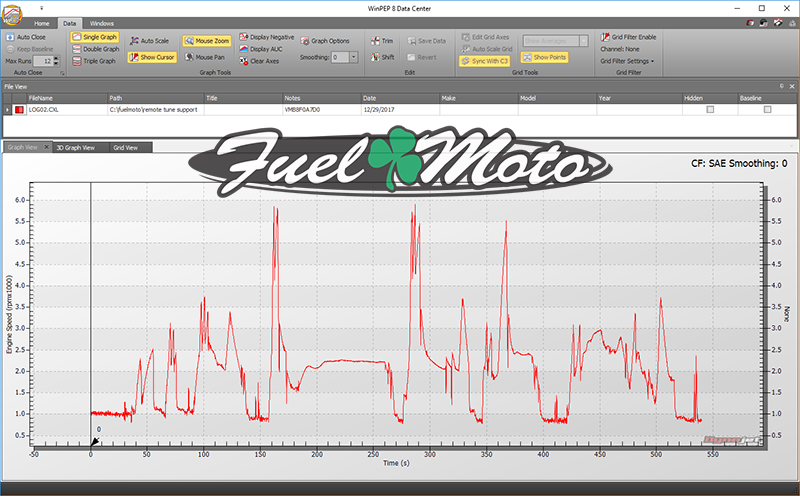 Once Fuel Moto PV-CX Advanced Remote Tuning Service is purchased through our website users will be emailed additional information, instructions, and access to the support portal on our website. NOTE: All RTS tuning and support is done through our website & email, this service is not available by phone.